Pierre-Emerick Aubameyang thinks both he and Alexandre Lacazette should be starting for Arsenal and the Gabon striker is even willing to play out of position to accommodate his team-mate. Lacazette joined Arsenal to much fanfare in 2017 having developed into arguably Ligue 1's most lethal finisher at Lyon, who were paid a reported £47million for him. But, after an encouraging start, Lacazette struggled for form, scoring just four times in the Premier League between the start of November and April. Aubameyang's arrival in January was undoubtedly a contributor to Lacazette's struggles, as the signing from Borussia Dortmund netted 10 times in just 13 league games in the second half of last season. The 29-year-old unsurprisingly started by himself in attack for Sunday's 2-0 home defeat to Manchester City, but Arsenal looked more of a threat late on after Lacazette was introduced and Aubameyang thinks they should play together more often. "We really get on well," Aubameyang said of his relationship with Lacazette to ESPN. "There is a spark between us when we are both on the pitch together. 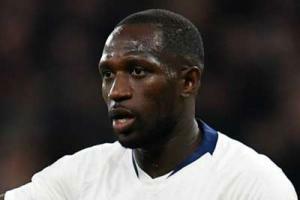 "We look for each other, we saw it [on Sunday] against City when he came on. I don't mind playing on the left if Laca is in the centre. We both want to do our best for the team." 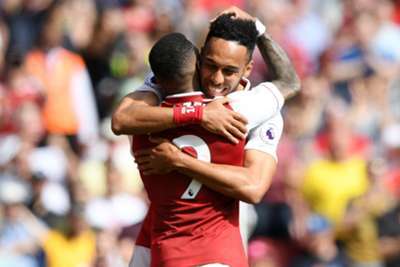 Arsenal came in for significant criticism from some quarters for their performance against City, but Aubameyang is adamant that it is too early to really judge Unai Emery's new-look Gunners. "We still need some time to adapt to the new manager and to integrate the new players," Aubameyang added. "It is hard to test ourselves in a first game like this against City because they are so strong. We have to stay positive, work on the things we did well and improve on the rest. We will have a better idea next weekend after the Chelsea game. "The message of the new coach is all about showing character, to put a lot of intensity, play high up the pitch and implement a big pressing. That's the style we will play this season."